When Ibrahim was going to sacrifice his son, Shaytan came to him in the form of a man to try and distract him and encourage him to disobey Allah , so Ibrahim pelted stones at him. 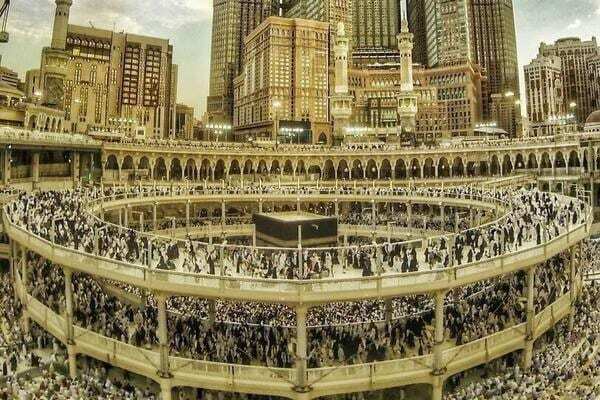 In part 1 we looked at different sacrifices that we could make to become closer to Allah , but what about when Shaytan comes to us to distract us? How can we pelt the Shaytan out of our lives? Here are 7 productive habits that we can use as our stones against Shaytan. But this happens when we are praying with sincerity and humility, otherwise it becomes just a physical ritual. One of the biggest deceptions that shaytan causes us to believe is that you can’t pray when you are committing sin. Salah is not dependent on your sins, and Allah has never said a person should not pray because they did something wrong. Take this step to establish your constant connection with Allah . Work on establishing your salah and take the first step to pelting the Shaytan. It is hard striving to practice especially on your own, especially today where we have this notion of trying to fit in, and we have a lot of pressure growing up not to stand out. And so the second way to pelt the Shaytan is by choosing righteous company. Choose the company that encourages you to get closer to Allah, that reminds you to pray when you forget, that helps you to learn more about your Creator instead of idle gossip. Choose the kind of company that encourages you to keep away from what displeases Allah . Choose the kind of company that invites angels to stay with you. With this third action, let us stone Shaytan to dust, and build an emotional connection with Allah , by making sincere tawbah. As long as you are alive, you can make tawbah, do not let Shaytan deceive you into thinking that any sin is too big for Allah to forgive. For every moment that you are in a state of tawbah repenting for your sins, Allah loves you. Think about how beautiful that is, that Allah loves the servant who turns to Him in repentance. Humble yourself before Allah and tell Him your worries and your fears. Thank Him for giving you this opportunity to draw closer to Him, and let your soul be filled with ease and contentment. The one who is knowledgeable, Shaytan’s hold over them is weak. Sometimes when people make an attempt to get closer to Allah , they find that they struggle, and they don’t feel like they are changing. That is because they are still feeding their mind and soul idle useless material. If you are still mentally consuming material that distracts you from Allah – whether this is in the form of inappropriate TV series, music, books or anything like that-, then you leave a door open for Shaytan to come and distract. Feed your mind with knowledge and learn about your Creator and the beloved prophets because Allah says “…Only those fear Allah , from among His servants, who have knowledge. Indeed, Allah is Exalted in Might and Forgiving.” [Qur’an: Chapter 35, Verse 28]. Start making an attempt to at least reduce -if not cut out- the material that takes you away from the remembrance of your Creator. We’re on the 5th stone now, so let us try to incorporate more sunnah into our life by starting off with 2 simple things, siyam (fasting) and nawafil (voluntary prayers). Let us train ourselves to fast at least 3 days a month and incorporate at least 2 raka’as of sunnah prayers into our day. Why do I say this? Fasting is one of the best methods to get closer to Allah as you become conscious of every action that you make during the day to ensure that your fast is accepted. By incorporating sunnah prayers into your day, you go above and beyond doing what is obligatory and you make an attempt to show your love for Allah by doing something you do not have to do except for the sake of His closeness. If you want to start with an even smaller act, then start off by moistening your tongue with remembrance and glorification of Allah and let the reward of these light words weigh heavy on your scales. How sad would it be that after throwing 5 stones at the Shaytan, you find the 6th stone too heavy? In part 1, we discussed sacrificing our ego and pride to restore ties and kinship and again we will reiterate this because it is a very easy way for Shaytan to cause fitnah (disagreements) in families. Connect with the one who has cut you off. Let go of any ill feelings in your heart and restore any ties of kinship in your family that have been severed. Do this for the sake of Allah and I promise you will be rewarded more than you can ever imagine. Let go of the hurt and pain that your family has caused you and forgive. Let your heart be soft with the remembrance of Allah so that you are able to make these sacrifices. Our family ties are an immense opportunity to gain reward and become closer to Allah . This is the last stone that we will throw at the Shaytan and possibly one of the most important stones. None of us know when we will die, and so we must make use of every minute that we have. When you remember death, all of the time, it allows all of the above stones to be thrown easily as it allows you to fight your nafs and do what you know will please Allah . When Shaytan comes to you and tries to encourage you to do what displeases Allah think to yourself that if you were to die at that moment, how would you justify your actions to Allah ? Would you truly have an acceptable justification for missing your salah, or cutting off family ties, or not spending in the way of Allah ? If you pelt Shaytan in these 7 ways, then the 4 sacrifices that we discussed in part 1 will become so much easier. These 7 ways of pelting the Shaytan will only bring you closer to Allah and increase your love for Him. And of course when you love Allah , pleasing Him becomes the best way of life to have. Stay tuned for part 3 of this series where we will discuss how to stay motivated and empowered to do the aforementioned actions. Now, let us here from you: what other stones you think we can use to pelt Shaytan out of our lives?